Berlin Club Dada art, artists, and journals. Famous political art masterpieces that brilliantly reveal the lies and ugly ideology of fascist dictators. John Heartfield’s most famous antiwar posters. 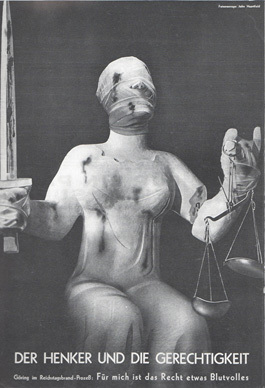 John Heartfield’s powerful antifascist art masterpieces. 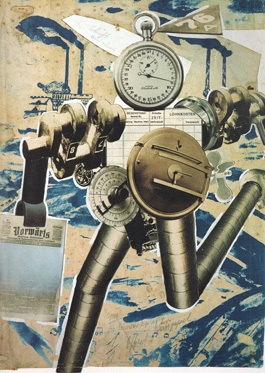 Heartfield pioneering graphic design and typography for authors such as Upton Sinclair and Kurt Tucholsky. Heartfield’s political art for the covers of brochures as a weapon against fascist dictators. Stage sets, production designs, projections, costume designs, and mechanics for playwrights such as Bertolt Brecht. John Heartfield’s artistic legacy in an easy-to-navigate collection. The first GALLERY (now online) features the John Heartfield book covers that revolutionized advertising graphic design. New art will constantly be added. We did so to make it clear that Heartfield’s montages did not—like a well-told joke – simply combine picture and text in a provoking manner. For him, montage was more a symbolic form in which, apart from photos and texts, tonal values, the colors and structure of the material, the precisely calculated organization of the visual plane, and the imaginary visual space devised by means of retouching produced many levels of meaning. Heartfield is not being aestheticized. Instead, the diversity and ambivalence of his montages become obvious. Thus his works extend beyond political current events, allowing the viewer to develop his thoughts, imagination, and sensual perceptiveness. The fact that the current political trend has not faded is assured by reality itself, which tries even nowadays to live up to the satirical montages in a violent and impertinent manner. George Grosz introduced the young German landscape painter John Heartfield to Dada in 1916. Heartfield quickly burned all his oil paintings except one. Only The Cottage In The Woods survives in The John J Heartfield Collection. The young Heartfield’s radical self-editing started him on the path to becoming one of the 20th century’s most influential artists. Grosz and Heartfield cut and pasted together media during WWI. Their work was designed to give viewers a visual jolt. Symbols embedded in their images satirized the Weimar Republic and attacked the senseless war. The collaborations of George Grosz and John Heartfield were the seed that grew into Heartfield’s famous political art against fascism and The Third Reich. 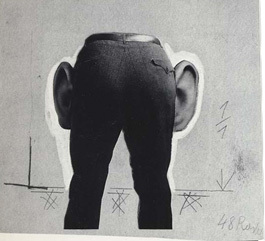 Each element of Grosz-Heartfield Dada art, a seeming cacophony of mixed media, was actually carefully placed in their collages. Each piece piece come together to make a strong cohesive statement. Heartfield is credited with the creation of the art form photo montage. He pioneered modern collage techniques. His 3-D graphic designs for Malik-Verlag publishing revolutionized advertising design. Heartfield’s collage book dust jackets told a “story” from the front of the book cover to the back. He took typography in a new direction by incorporating his own custom letters into his graphic designs. John Heartfield excelled in every form of artistic endeavor he attempted. His historic theater collaborations with Bertolt Brecht helped the world-famous playwright and composer develop a new type of theater. The audience was invited to participate in the action on stage. This type of theater became a worldwide sensation. All John Heartfield art was “art as a weapon” whether he used it against fascism, accepted art norms, or what the Dadaists believed was art’s cooperation with the corrupt society of the Weimar Republic. Heartfield has been often be called a “communist artist” or “anti-Nazi artist” or “anti-fascist artist” because of his youthful affiliation with the German Communist Party, the KPD. However, Heartfield was never a party functionary. The communist part would often attack him for his free-thinking artwork. The KPD was the only true political threat to the rise of Adolf Hitler and The Nazi Party in Weimar Republic Germany. The idealistic young Heartfield could not have predicted the nightmarish communist dictatorships of the twentieth century. East German Communism betrayed Heartfield in his senior years. He narrowly avoided a treason trial upon his return to East Germany because of his written pleas to be allowed to remain in England. His final years in East Germany had a devastating effect on his health and his legacy. 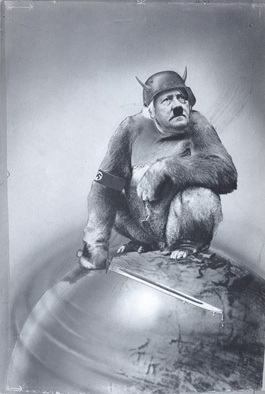 The John Heartfield Exhibition is evolving and expanding. The work in the exhibition becomes more and more vital as the tactics of fascism once again attack democracy. We will constantly add more “art as a weapon.” Contemporary artists inspired by Heartfield’s life and work have joined the exhibition. Art doesn’t pivot! Art reveals the alternate facts. A brilliant piece of political art remains in the mind like a haunting song melody. Please continue to visit The Official John Heartfield Exhibition often.